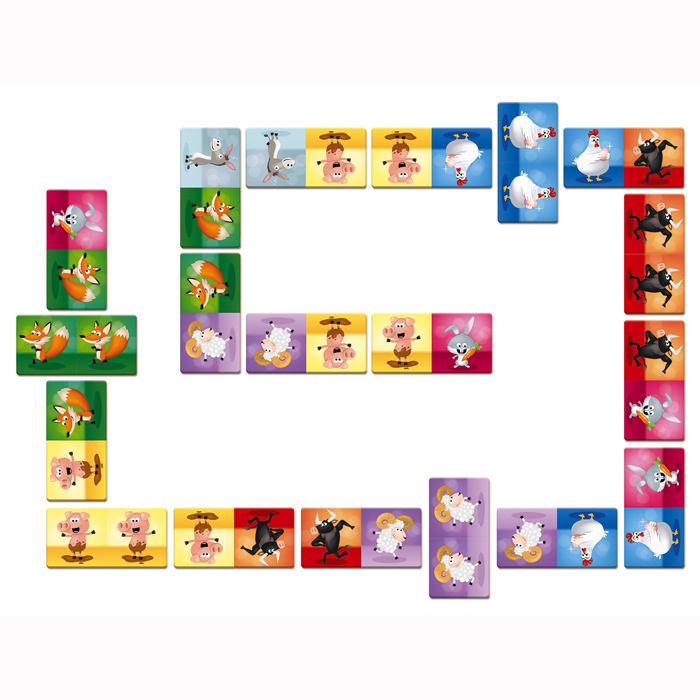 Join the quirky farm animals to find their match and use all your cards! 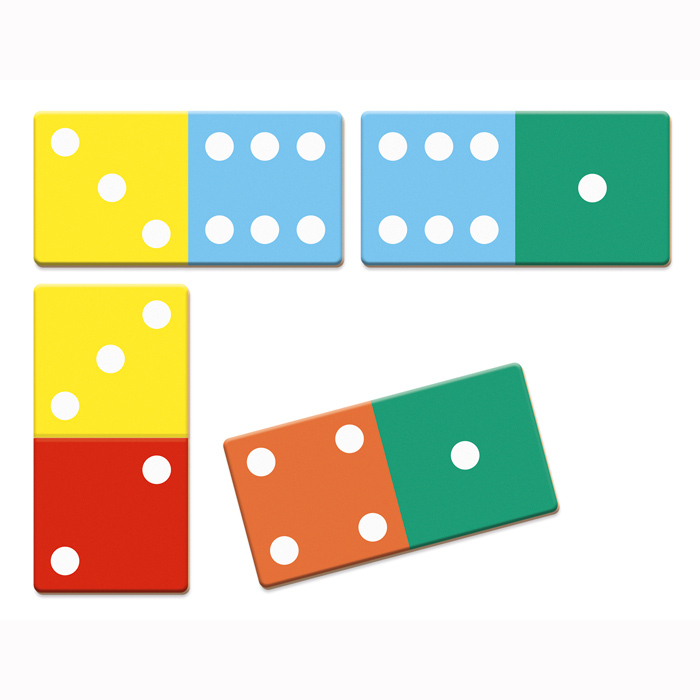 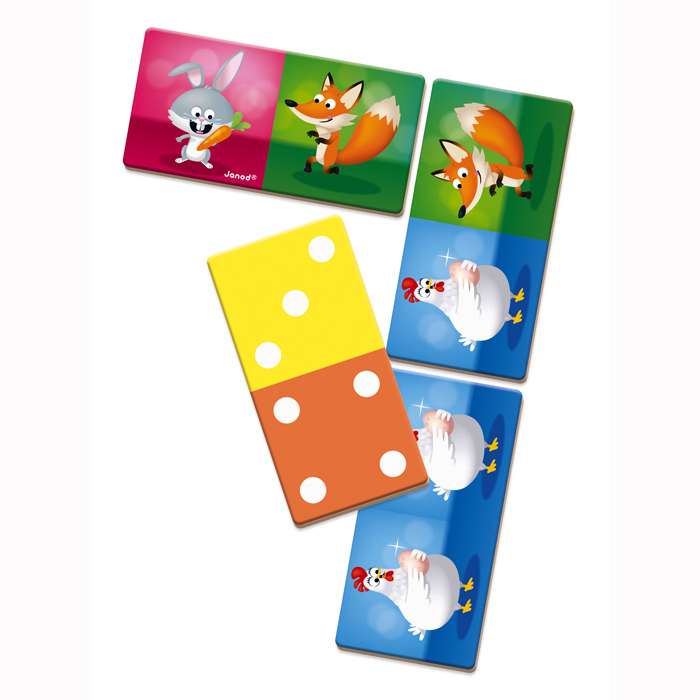 The two sided Janod Animals Dominoes are a classic game and a must have for the playroom! 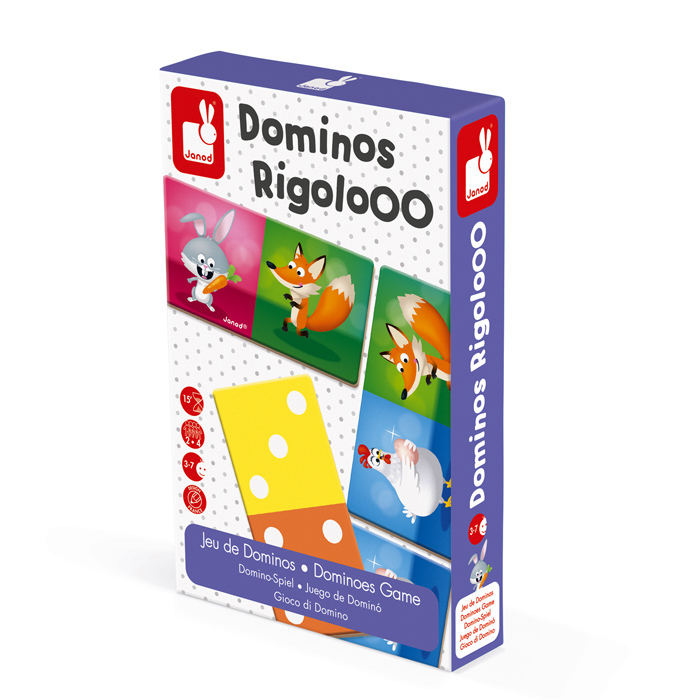 With numbers on one side to introduce maths and cheeky animals on the other, see if you can be first to rid yourself of all your tiles. 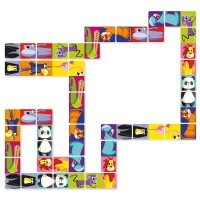 Loads of fun and brightly coloured the tiles are made from sturdy card and presented in a Janod storage box. 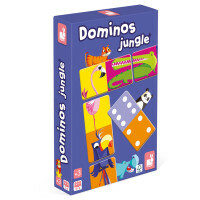 Great for rainy days or travel!